One of the smallest school districts in Texas will make history this fall as it transitions to a predominately four-day school week — the first of its kind in the state. 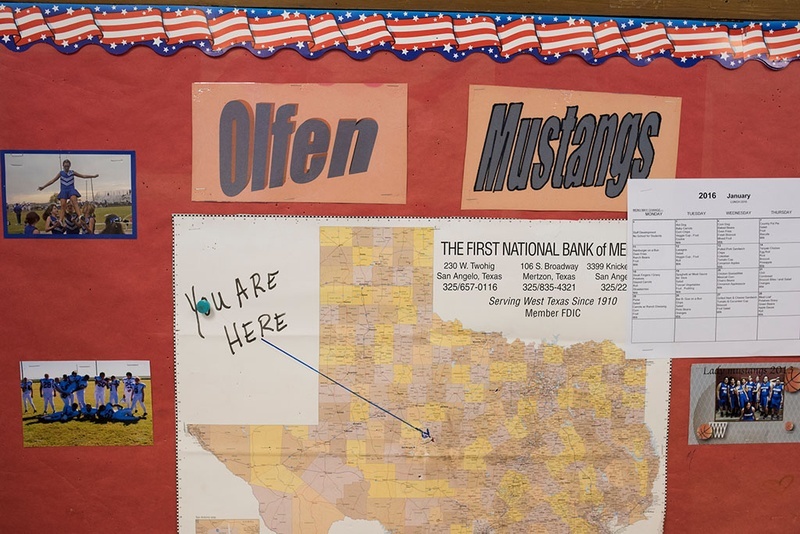 Olfen Independent School District, a kindergarten-through-eighth grade district outside San Angelo that boasts 56 students, approved the new schedule earlier this month. Olfen officials cited a new law passed by the Legislature allowing districts more flexibility in setting calendars. The Olfen school board unanimously voted Jan. 12 to approve the change for the 2016-2017 school year. The new schedule includes four mandatory instructional days and an optional day on Friday. Students who do not receive passing marks on progress reports will be required to attend school on Fridays to receive tutoring, while passing students will have the choice to stay home. A handful of weeks during the year will have a full five days of instruction. Zamora, who compared the optional day to “Super Saturdays” in other districts, said it would include a few hours of tutoring in the morning and activities such as karate, tumbling and pottery in the afternoon. Zamora proposed the change after the Legislature last spring passed a law altering how the state defines a school year. The law requires districts to have at least 75,600 minutes of instruction each year instead of the previously stipulated 180 days. The new Olfen ISD calendar will have 160 class days that total more than 77,000 minutes, according to Zamora. The district will increase the duration of each school day by 25 minutes. DeEtta Culbertson, a spokeswoman for the Texas Education Agency, confirmed that Olfen is the first school district in the state to offer a four-day week schedule, although others have unsuccessfully pushed for a similar schedule in the past. Zamora said the schedule is compatible with the unique needs of his rural district, where only one student lives within the district boundary. Ramon Cavazos, who teaches social studies, Spanish and special education for the older students in the district, said he was initially skeptical of the new schedule but now he sees it as an opportunity to improve individual students’ needs. “This is my seventh year here, and this has always been an issue with us because we are, in some cases, up to 35 miles away from a student’s home,” Cavazos said. That distance means if the school wanted to offer tutoring after school, it would need to run an additional bus route, he added. “This is going to give us the opportunity to pull those students in on Friday,” he said. Darlene Ortega, who has two children and one grandchild in the district, said she thinks the new schedule is a “great idea.” She said she will be sending her children to school on Fridays regardless of their grades, in part because of the extracurricular programs the district plans to offer. Cavazos said his older students have already expressed a desire to improve their grades so they can stay home on Fridays.